We specialize in pork-based, tonkotsu ramen, reflecting our place of origin, Kurume City in Fukuoka, the birthplace of tonkotsu ramen. The secret of our rich, yet light tonkotsu broth is in the ingredients. Inside, there’s nothing but pork skull bone and water. 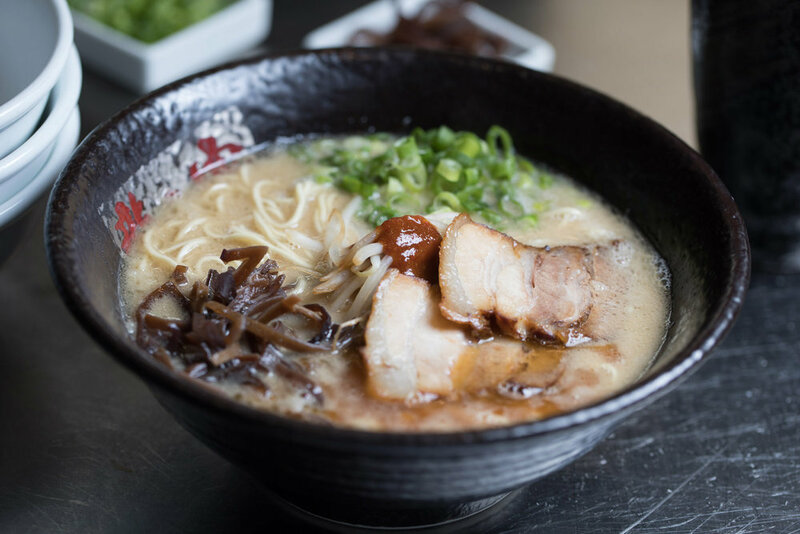 The broth is simmered for over 15 hours at a high temperature to achieve the maximum umami, providing both a bold richness and a mildness at the same time. Our noodles are made exclusively by a local artisanal noodle company just for us, using our original recipe (question—is it made ONLY for Tatsunoya? If so, it might be worth pointing that out explicitly—the answer is YES). Prior to its use at our Pasadena location, Ramen Tatsunoya’s noodle recipe had never left our factory in Japan. Our signature bowl. The rich broth is topped with a house-blended umami paste, onion and garlic infused oil, and pork back fat. Served with thin noodles. Tatsunoya’s original mild tonkotsu broth. Enjoy the authentic flavor! Served with thin noodles. 3 kinds of miso: red, white and barley are blended with our tonkotsu broth, then topped with a spicy oil. Served with thick noodles. Ramen Tatsunoya was born on May 14th, 1999, in Kurume City, Fukuoka, where the founder, Ryuta Kajiwara, was born and raised. Since then, our goal has been unchanged: To dedicate ourselves not only to serve the best bowl of ramen possible, but also to give “kando” when people dine at Ramen Tatsunoya. What is kando? Kando is a touchstone for us as it's the Japanese word that describes an awe-inspiring feeling. 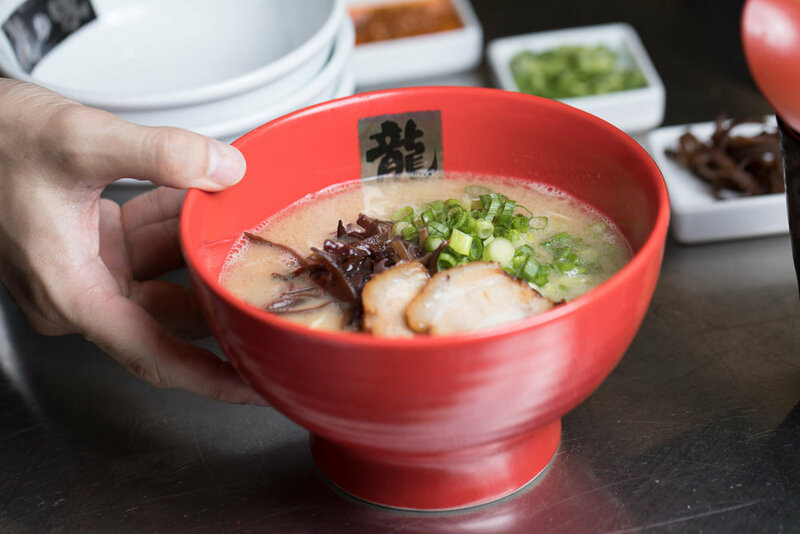 It may be our signature tonkotsu ramen that gives you kando, or perhaps it's one of our servers who goes that extra kilometer to improve your dining experience. We do this because our goal is for everyone from customers to employees to be happy, because like a circle, when our customers feel kando, we feel kando in return. Built on the same belief that has supported Ramen Tatsunoya in Japan since 1999, Ramen Tatsunoya's first U.S. location opened in Old Pasadena, California in 2015. In 2019, we celebrated the opening of our second U.S. location in Los Angeles' Silver Lake neighborhood. Although other ramen pioneers in the United States have paved a path that many follow, we think there is much more work to be done. Unlike others, we strive to bring genuine ramen craftsmanship to the U.S., making ramen a truly universal food by improving ramen culture one bowl at a time.